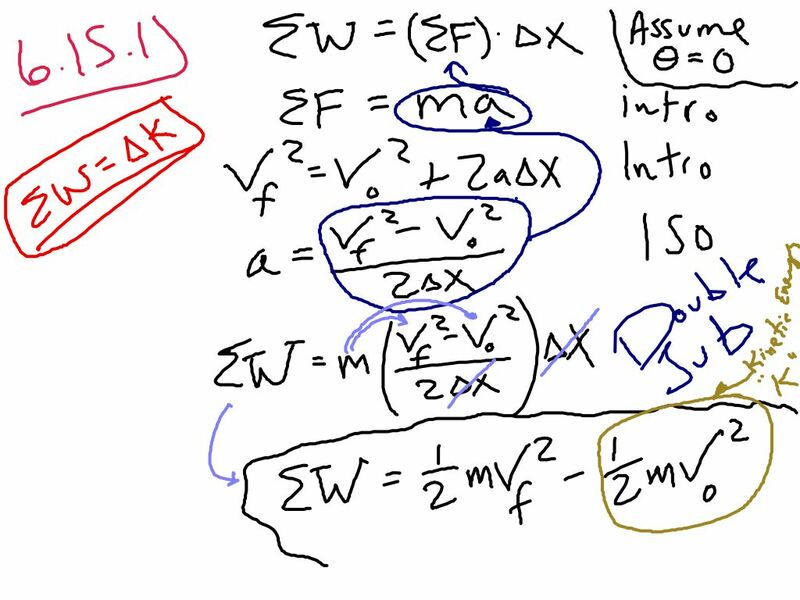 PhySP18SS6.6.23: Derivation of the Work – Kinetic Energy Theorem. This is the boring algebra version. The calculus version which you will learn next year in AP Physics is beautiful.